hd00:29Green Water at the River, looking upstream. 4k00:18Boats fill the water and line the shore of a tropical island. Tall rocky islands in the distance surrounded by warm clear water with coral visible. Bright blue sky peeking through clouds. Aerial view. hd00:23EL NIDO, PHILIPPINES - FEBRUARY 04, 2014 : Boats together tourists to travel between the islands. 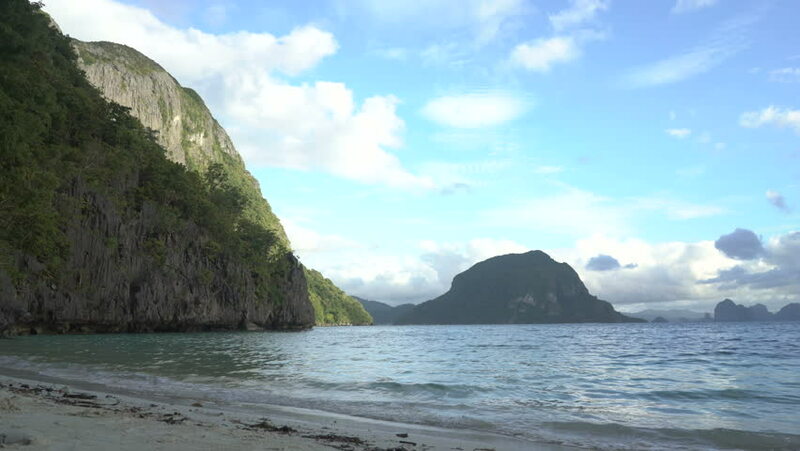 El Nido is one of the top tourist destinations in the world. hd00:08View across Lac des Arcs, Alberta, Canada. Cement plant visible on far shore.